The New Tax Law Means It's Time Review Your Estate Plan – Kathleen A. Browning Sheridan, Esq., P.C. While the new tax law doubles the federal estate tax exemption, meaning the vast majority of estates will not have to pay any federal estate tax, it doesn't mean you should ignore its impact on your estate plan. In December 2017, Republicans in Congress and President Trump doubled the federal estate tax exemption to $11.18 million for individuals and $22.36 million for couples, indexed for inflation. The tax rate for those few estates subject to taxation is 40 percent. While most estates won't be subject to the federal estate tax, you should review your estate plan to make sure the changes won't have other negative consequences or to see if there is a better way to pass on your assets. For example, one common estate planning technique when the estate tax exemption was smaller was to leave everything that could pass free of the estate tax to the decedent's children and the rest to the spouse. If you still have that provision in your will, your kids could inherit your entire estate while your spouse would be disinherited. For example, as recently as 2001 the federal estate tax exemption was a mere $675,000. Someone with, say, an $800,000 estate who hasn’t changed their estate plan since then could see the entire estate go to their children and none to their spouse. Another consideration is how the new tax law might affect capital gains taxes. When someone inherits property, such as a house or stocks, the property is usually worth more than it was when the original owner purchased it. If the beneficiary were to sell the property, there could be huge capital gains taxes. Fortunately, when someone inherits property, the property’s tax basis is “stepped up,” which means the tax basis would be the current value of the property. If the same property is gifted, there is no “step up” in basis, so the gift recipient would have to pay capital gains taxes. Previously, in order to avoid the estate tax you might have given property to your children or to a trust, even though there would be capital gains consequences. Now, it might be better for your beneficiaries to inherit the property. 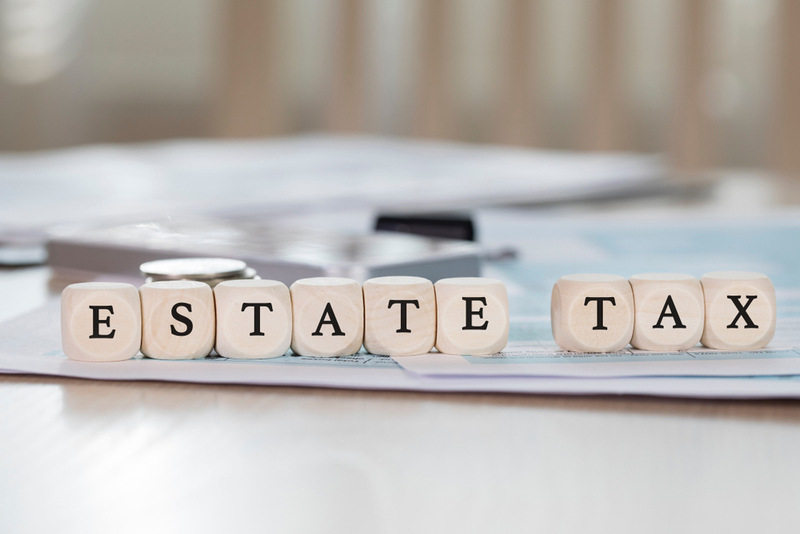 In addition, many states have their own estate tax laws with much lower exemptions, so it is important to consult with an attorney to make sure your estate plan still works for you. To find an attorney near you, go here: https://www.elderlawanswers.com/USA-elder-law-attorneys. For information on why trusts are still useful even if the estate tax is repealed, click here.